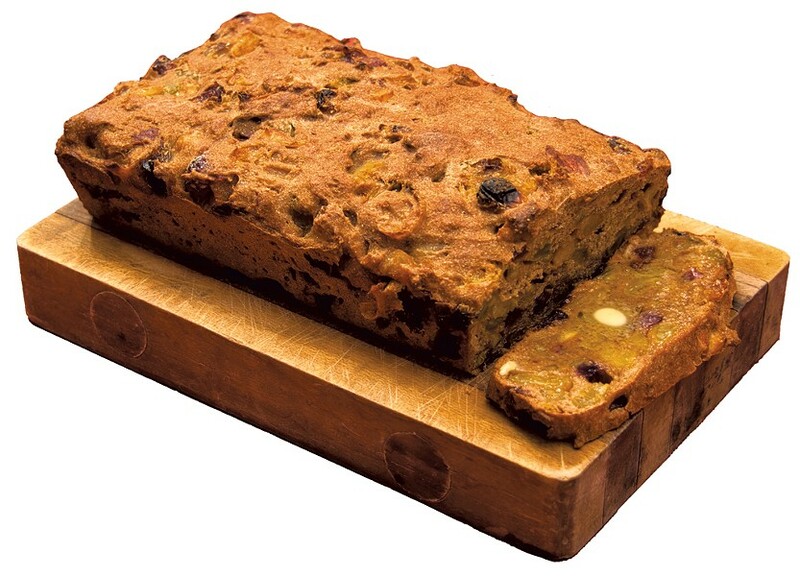 Irish Barmbrack: Tea-Infused Fruit Bread for St. Patty's Day | Mealtime | Kids VT - small people, big ideas! My cooking is heavily influenced by my Swedish roots, but I'm also part Irish. Because of this heritage, my family has always held a special place in our hearts for St. Patrick's Day. Most people are familiar with corned beef and cabbage, accompanied by a nice frothy Guinness, but there's much more to Irish food than this old standby. Take barmbrack, which roughly translates to "speckled loaf." The dense, brown bread is studded with a variety of dried fruits. In Ireland, it's traditionally served on Halloween with several small trinkets baked into it, much like king cake for Mardi Gras. It can be made as a yeasted bread or without yeast, which makes it more like a tea cake. Before baking, I asked an Irish coworker which type he preferred. He steered me toward the tea-cake version, which he thought was a more authentic preparation, made during times when yeast was either expensive or not readily available. Halloween barmbrack often contains autumnal fruits like raisins and currants, but I brought the flavors into spring with golden raisins and dried blueberries, cranberries, apricots and cherries. I also added candied citrus peel to give the bread a little kick. The dried fruit is soaked in brewed tea before putting it in the bread, a process which infuses it with flavor and moisture. That same tea is also used in the batter. (For a real Irish treat, substitute a little whiskey for some of the tea; the alcohol bakes off.) If you're the type of person who doesn't like to see things go to waste, reserve the leftover tea to sip with the bread. Wrapped tightly in plastic wrap, this loaf keeps for several days on the counter, but it will be hard to hold off that long. The bread practically begs for a good slathering of butter. If you can find Irish butter — creamier because it has less water than standard American butter — all the better. Put the brewed tea in a small saucepan and add the dried fruit and citrus. Simmer on low heat for at least 15 minutes (you could also soak the fruit in the tea overnight). Strain the fruit out of the tea, reserving 1 cup of the liquid for the batter. Let liquid cool. Whisk together the flour, baking powder, spices and sugar. Add the egg and mix to combine. Stir in the fruit, then the cooled tea. Transfer the batter to a well-greased 9-inch loaf pan. Bake for about 50 minutes, or until a toothpick inserted in the center comes out clean. Let cool for at least 10 minutes, then slice and enjoy with a generous amount of butter.